November is upon us, friends, and I couldn't be happier. The weather is crisp, the leaves have changed to varying colors of red, orange and yellow. While Thanksgiving is at the end of the month, I am challenging myself to practice gratitude throughout November. Often I take the blessings in my life for granted. I would like to make time each day to sit back, take notice, and thank God for them. I love the definition above (thanks Google!) because it reminds us of a key component of gratitude: returning kindness. When we reflect on all of the good in our lives, we respond with love and kindness towards others. In fact, one would say we overflow with thankfulness (Colossians 2:6-7). We cannot help but extend our gifts, our blessings to others. Gratitude also leads us to prayer. How could it not? I see the blessings in my life: my church, my husband, my daughter, my friends, my education. God is generous to us, and in turn I come to the conclusion that I don't deserve any of it. I once had a friend tell me that humility is just that, knowing you do not deserve the gifts God gives you, but recognizing them and using them anyway. God's love for me is overwhelming, and I need to recognize all the good he has put in my path. Practicing gratitude means that we as people need to rest. With all of the day's responsibilities, this can be difficult. Resting, taking note of all around us, and whispering a prayer of thanksgiving can challenge us to step outside of our daily grind and truly appreciate our lives on a deeper level. This month I want to rest in God's love. I want to note one thing I am thankful for each day whether that is through journaling or listing them aloud. 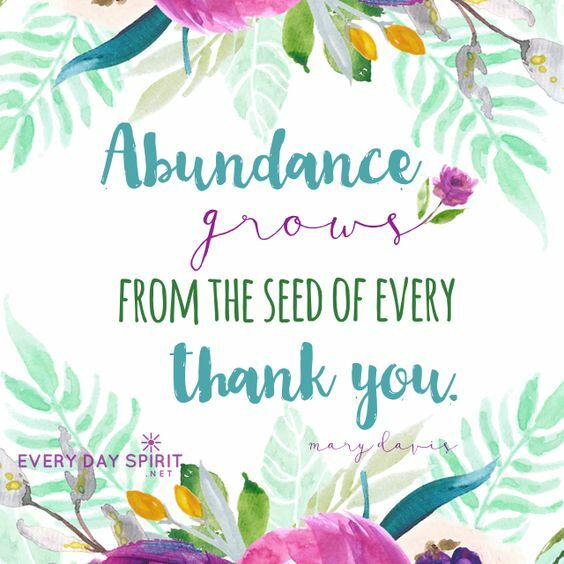 How can you practice gratitude this month?